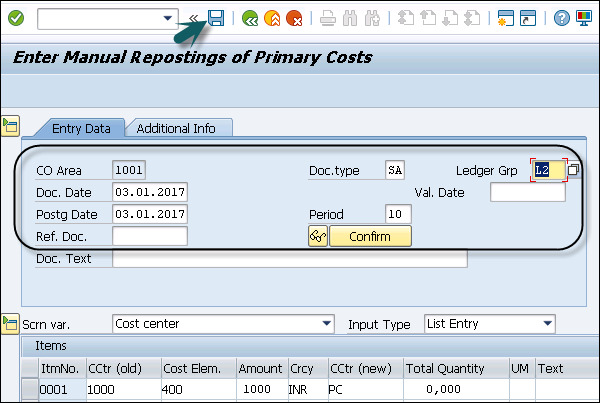 You can do manual posting of cost in SAP Simple Finance and display the results in the table. To do manual reposting, following are the steps. 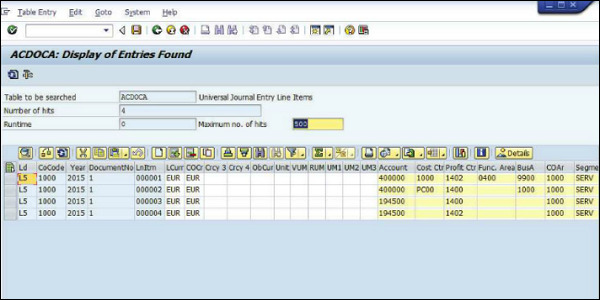 Step 3 − To save the entry, click the Save button. 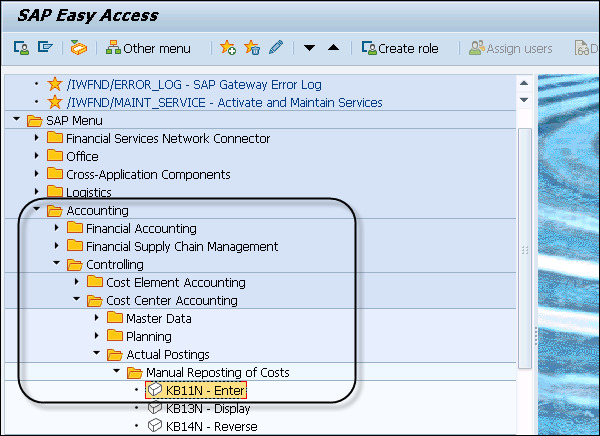 Step 4 − In SAP Easy Access, enter SE16N in the Transaction box and confirm your entry by pressing the Enter key. Enter ACDOCA in the Table box. Confirm entry by pressing the Enter key. Enter the Current Year in the Fiscal Year box. 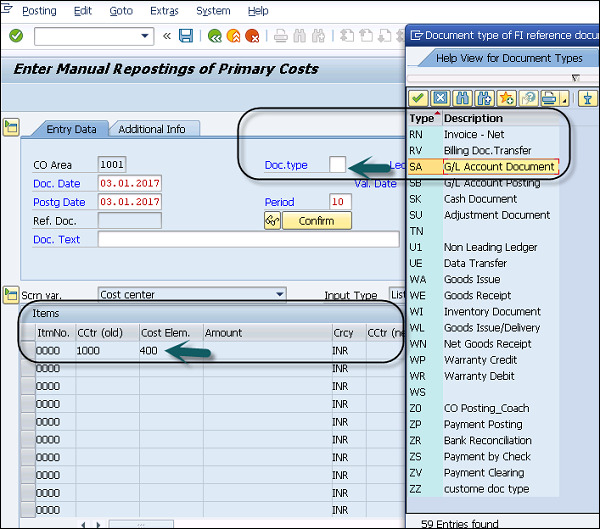 Enter the document number in the Ref. Document box → Execute or press F8. 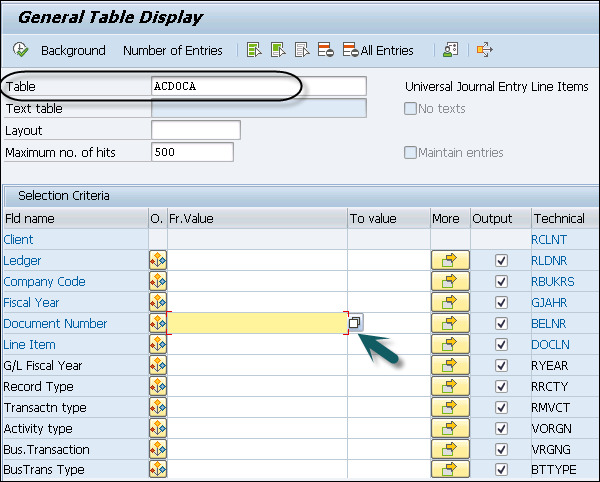 Scrolling further, you can see the large number of data derived and stored from the single posting in the universal journal table.